Meet Kelly, a.k.a., Cookout Kelly. 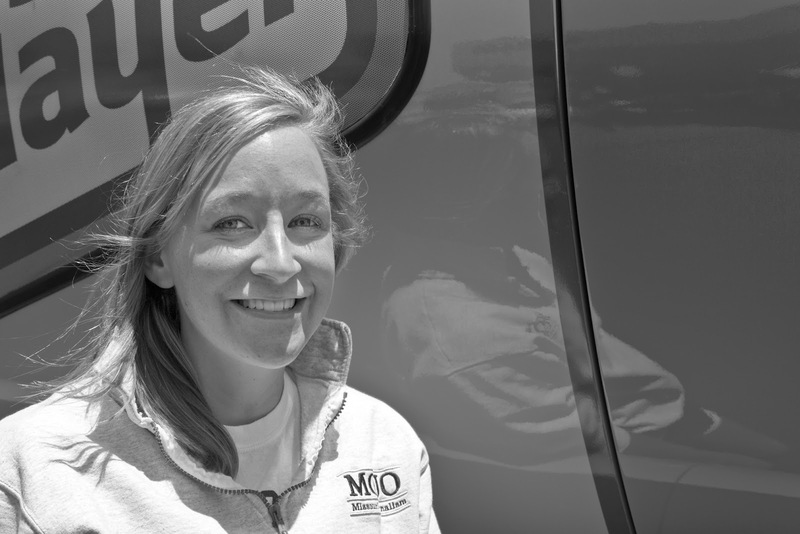 Kelly, and an associate, are starting out on a year long odyssey traveling around the South West United States in the Oscar Mayer Wienermobile. They'll be traveling through the sunny states from this June until next June . What a cool job. I met Kelly quite by coincidence. 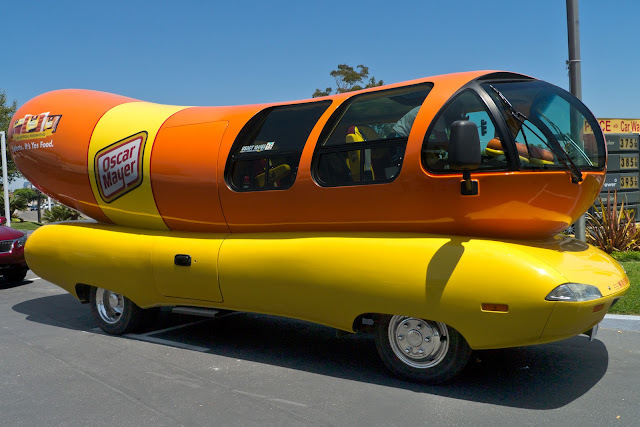 I was taking a round-about way home and she had parked the wienermobile at a local gas station along my route. She was waiting in 'the car,' searching for some local lodgings near their day's destination while her associate was getting a hair cut. As soon as I saw the wiemermobile, I had to turn around and get some shots. Not much of anybody was around when I arrived, but after a few minutes a small crowd had gathered. I think Kelly was taken by surprise with the impromptu crowd, but she handled the horde like a seasoned pro. Kelly, you're a rock star. Have a great year driving around in that big orange and yellow mobile. Oh, if anybody wants to know more about the various teams driving the fleet of wienermobils around the U.S. for the next year, Kelly gave me their blog address. You can go there from here, HotdoggerBlog.